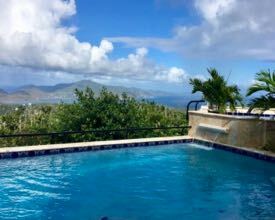 So over the weekend we wrote a not-so-quick state of the island update on the Cruz Bay area. Today we are going to tell you a bit about what’s happening on the North Shore (and hopefully we’re not super long winded!!). Let’s start where we left off – over at Mongoose Junction. Cruise up the hill and you will immediately see that everything is so green! 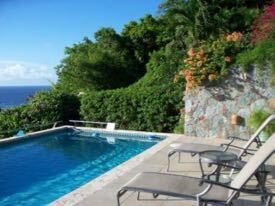 Over to your left is the Cruz Bay overlook, which has amazing views, and a bit further is Estate Lindholm. They’ve been open for quite some time, and the place looks great. As you all probably know, Asolare was destroyed and it does not sound like there are any plans to rebuild. Ok, back on North Shore Road. As you pass the National Park sign, you can start to see Caneel Bay. Sadly, there still has not been any progress at the resort, and its future still remains in flux. The Committee on Natural Resources released a report last week on the proposed bill that seeks to extend the retain use agreement at Caneel. Click here to read that report. The first beach that is accessed off of North Shore Road is Hawksnest. Like all of the beaches, it looks great. We had a pretty good rain about three weeks back, and that compromised the walkway down to the beach a bit. There is still a fair amount of tree debris lining the beach in some spots, but it’s there to help with erosion, so that’s a good thing. Hawksnest appears to be a bit wider than in the past. It also still has some decent snorkeling. It’s not amazing, but it’s ok. The views at Hawksnest are simply stunning. For those of you who haven’t been to Hawksnest, the beach tends to have a bit more waves than some of the other North Shore beaches. The walkway at Hawksnest was damaged during a rainstorm last month. As you drive along North Shore past Hawksnest, you will soon come to an adorable white picket fence with beautiful plantings and trees on the property behind it. This is Gibney Cottages. 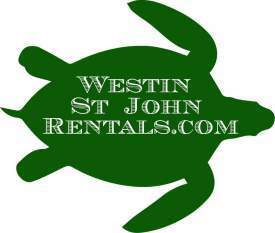 They are some of St. John’s only beachfront rentals that are on a white sandy beach. They also happened to be on last month’s cover of Coastal Living … so cool! Next you will see a large gate that says Oppenheimer. You guessed it, this is the entrance to Oppenheimer and Gibney beaches. The area along Oppenheimer lost nearly all of its shade, so it is very hot. Gibney is the area to the left when looking toward the water. There are chairs on the beach in front of Gibney Cottages. While this area is public under VI law (all of our beaches are public although you cannot walk on private property to reach them), we ask that everyone be kind and let the guests of the cottages have this section for themselves. There is a lot of beach left for the rest of us. Next up is the parking lot to Peace Hill. Oh wait, but before we get there, there is a small section of roadway that was compromised after the storms. There are orange cones marking this, and the road is single lane. Drive slowly and be cautious in this area. Ok, so the way up to Peace Hill takes less than five minutes. It’s only a tenth of a mile but there is a slight incline up and some loose rocks. But despite that, it is worth it. 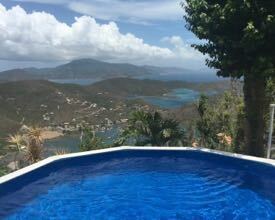 The views of St. Thomas, Hawksnest Bay, Trunk Bay, Jost Van Dyke and the Sir Francis Drake Channel are simply spectacular. You will notice a small trail off of the main Peace Hill trail. This path brings you down to Denis Bay. I have to admit, I have not been there in a bit, so I cannot tell you how the beach looks. I did, however, pass some guests the other day coming up the trail, and they said Denis was glorious. They also said the trail took them a mere eight minutes. Not too shabby! 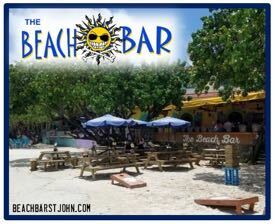 Back on the road and the next beach you will come to is Jumbie. There is a small parking lot on your right and the beach is a quick two minute walk away. Jumbie is a quiet little cove with a fair amount of shade. 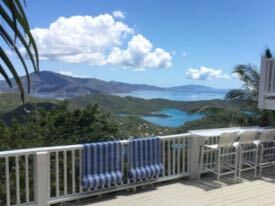 It has beautiful views of Trunk Bay and Jost. It tends to be a wavier beach, so keep that in mind if you plan to visit. 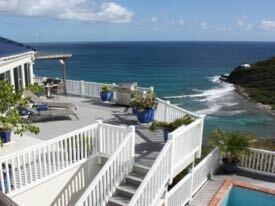 Next up is the famed Trunk Bay overlook. This view is easily the screensaver of thousands across the world. And with good reason. It’s still as beautiful as ever. Trunk Bay itself looks great too. The National Park is still waiving the entrance fee because we still do not have any food concessions on site. 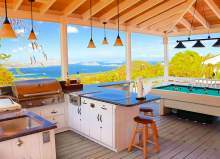 Trunk does, however, have flush toilets, showers and a rental hut where you get snorkel gear or chairs for the day. 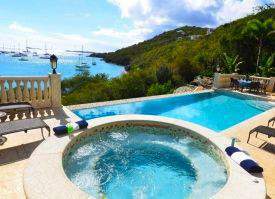 Next up is Cinnamon Bay. As we told you back in October, cleanup finally happened on site. It’s not perfect, and there is still work to be done, but there has been progress and that makes us smile. There were plans to reopen a very basic campground last month, but that has yet to occur. Platforms were constructed in the parking lot for bare sites, but that’s the only work we have seen toward a possible reopening thus far. The beach is beautiful. 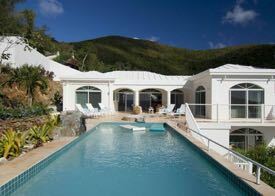 Ok our final stop of today’s journey is my very favorite place on the island – Maho Bay. 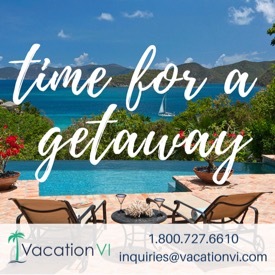 And I will say to you all what I say to many of my guests on my News of St. John Tours… Maho was one of the hardest hit beaches on St. John in my opinion, but it’s still my favorite place in the world. Sure there was a fair amount of tree damage and we lost the pavilions on the western side of the beach, but it’s still beautiful. Honestly, if you stand on the sand and look toward the ocean, it quite possibly may be the most beautiful place in the world. Oh and the turtles, well they just make it extra special. I think I am going to stop there for today, folks. We will have more on the rest of the island soon. Have a terrific Tuesday! Thanks so much for all this info. We have been. 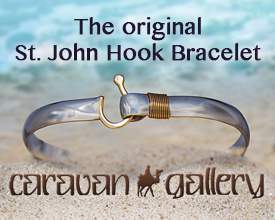 Coming to St John for 24 yrs. We love it, so happy thing continue to improve. Made my day! Thanks Jenn. Any updates as to when Joes Rum Hut will open? 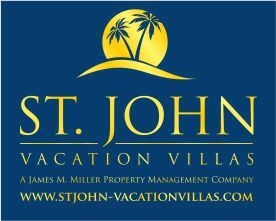 Your ongoing passion for all things St. John is so appreciated and needed by both residents and visitors. Thanks for becoming the unofficial number one St John cheerleader! Keep the occasional photos of Dakota coming as well! Thanks for another great update Jen. Can you put Waterlemon on your radar for your next report. 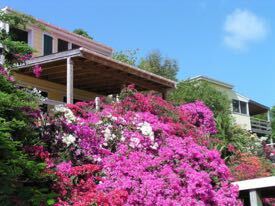 Have heard mixed reports about the trail and condition of the reef at the Cay. I can sort of answer your question from 6 months ago. The trail suffered sever damage during the storms and Leinster is a shadow of its former self. And the snorkeling wasn’t very good either at Waterlemon. But perhaps it has improved of late. Mike – The trail is totally different than it was pre-storm. A lot of rocks and broken coral were pushed up onto the shore during the storm so it is looser and more uneven than it used to be. The formerly sandy beach is mostly rocky now too. I live here and I snorkeled it about once a week this summer and was pleasantly surprised by how nice the snorkeling was around the Cay. Like everywhere else, the shallow area took the brunt of the damage. It’s dead/bare on the front side of the Cay where the starfish used to be, but the back side is still vibrant. The best coral and fish have always been found on the backside of Waterlemon Cay. I saw turtles, stingrays and at least 1 nurse shark on every snorkel, during which I usually did both the sea grass part off the beach and once around the cay. Thank you for the detailed update. We loved the snorkeling at Waterlemon Cay. Looking forward to going back. First, your baby is ADORABLE!!! Thanks so much for this great info, we’re heading down in three weeks, can’t wait to get back!!! Most of the island has returned to complete paradise from what I can see! 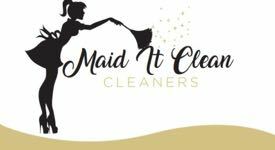 Hats off to everyone who has cleared, cleaned and rebuilt! Still deeply concerned about the donkeys & such -any updates? We are coming back to St. John soon! 4.5 years has been far too long! 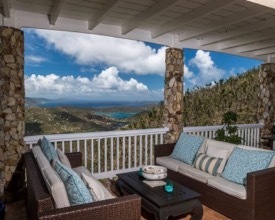 News of St. John has been such a wonderful resource to follow from afar. Thank you! Thanks for sharing! We will be there in 11 days. Can’t wait to get back in the water with the turtles at Maho. 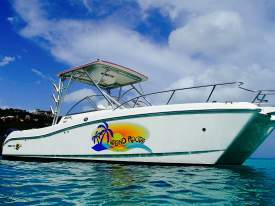 How is the snorkeling at Water Lemon Cay? 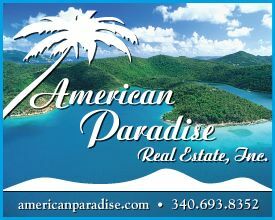 Thank you for your passion for St. John and continually updating us on all matters concerning this wonderful little island. When we were there in February and March, there was a notable lack of shade on all of the beaches that we went to. Is it fair to assume that this is still the case and that we might want to bring a little shade of our own? Shade is very limited. It’s a good idea to bring your own shade. I believe umbrellas can be rented at the Beach Bum near the ferry dock. But on windy days umbrellas can be hard to manage. A sand screw is advisable to firmly anchor the umbrella. Thank you Jenn! Reading your words, I felt like I was there……ahhh, the peace and serenity of heaven on earth. We really appreciate all your communications. Hugs to Dalton, that’s one stinking cute island baby!! Thank you for the virtual trip down the north shore! I could visualize every turn! 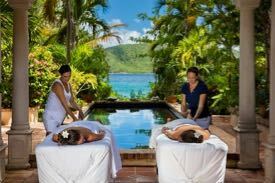 No matter where we travel, we always consider St.John as our place for paradise. We been coming for years now, camping in Cinnamon bay with our kids. Thanks for keeping us in the loop. Please let us know if you have any volunteer opportunities. Thank you for this update. I think about your island almost every single day of my life. I am so happy that I found it so many years ago. It is heaven on earth. I cannot wait to return for about the 18th time. We met you Jenn, along with some of your friends last summer. What a special group of people! We will see you again! Thank you so much for these updates. We visited in March this year and totally enjoyed the island. Returning three times in 2019! Would appreciate updates on the Weston! Since Caneel is still closed does that mean that the beautiful beaches on the property are not accessible? 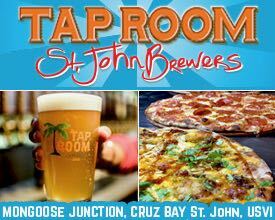 In a previous News of St John you said that a Food Truck is at Maho. What days and times is it there? 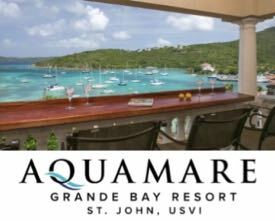 Headed for St John in less than a week for a 2 week stay. Can’t wait!